According to the Occupational Safety and Health Administration (OSHA), falls from scaffolding alone result in approximately fifty deaths and 4,500 injuries on construction sites every year across the U.S. And that is only one way to suffer a serious construction injury. These sites are some of the most dangerous places to work or visit when equipment breaks, chemicals leak, or human error causes a tragedy. Causes of a construction injury in New York City are numerous. It could be that the equipment used was not properly made, maintained, or repaired. Employers and supervisors may not have taken adequate, state-mandated precautions with regards to workplace procedures and protocols. No matter how it happened, your New York City construction injury needs immediate attention, both medical and legal. Whether you are a worker, visitor, or someone just passing by a construction site, Segan, Nemerov & Singer, PC has the experience needed to successfully handle your case. We know that certain standards are set by law in New York that pertain to construction sites. Standards that were meant to prevent accidents may have been ignored, leaving the way open for your injuries to occur. We find this unacceptable. Whether the failing was in the types of material used on the site, inadequate equipment inspections, or lack of worker training, our firm stands ready to advocate on your behalf. Do not delay in discussing your case with our New York City construction accident attorneys. You may be entitled to reimbursement for medical expenses, lost wages, pain and suffering, and even punitive damages. But you will not know unless you talk to skilled legal counselors. Contact Segan, Nemerov & Singer, PC today. 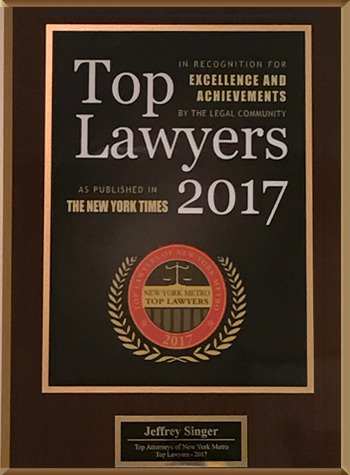 Our law firm handles all aspects of construction litigation in New York City, and we have the answers that you need. Choose the construction lawyers with experience, dedication, and relentless commitment to every case. 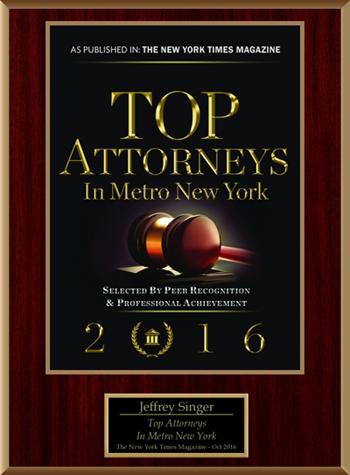 Contact Segan, Nemerov & Singer, PC at (212) 696-9100 today.